Some parents use milk (almond, soy, etc.) instead of fruit juice. Others mix in honey and flaxseed oil to boost antioxidant properties. Ask your children what they like and try to keep it healthy as possible. Smoothies are incredibly versatile and even children with food allergies can enjoy them. Set up a miniature preparation (prep) area in the kitchen to keep children engaged. Explain the importance of hand washing and sing a song to keep things fun. Wear matching aprons or cover-ups for easy clean up. Choose an area where children can reach the counter without standing on chairs to keep things safe. Place the blender on a stable surface to minimize spills. Help children measure the required ingredients and place them in the blender. Never allow children to chop fruit. Help them break softer items like bananas into chunks. Let them pour yogurts and juices into the blender. Make children feel they are an integral part of the process. Closely monitor smoothie texture and color during the blending process. Create fun and vibrant drink colors that appeal to children. 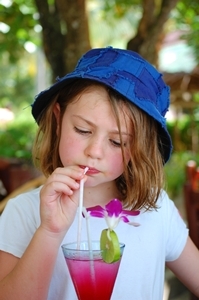 Dull drinks do not stand a chance with fussy eaters who notice the way things look long before tasting them. 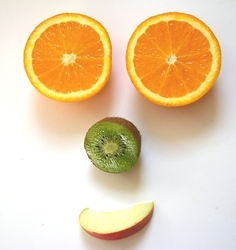 Brightly colored snacks also remind children that healthy foods do not have to be boring. Make clean up less daunting with songs and some bubbles! Allow eager hands to stock the dishwasher or play with bubbles while adults tidy up. 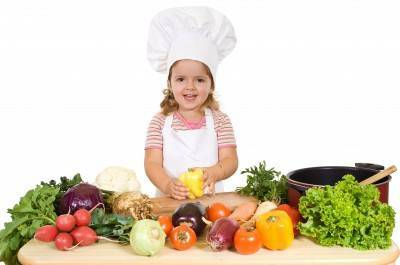 Visit local toy stores for miniature brooms and dust pans that allow younger chefs to participate in kitchen cleanup. Making smoothies fun for children offers opportunities for shared quality time as well as improving nutrition for the child! Settle into a quiet spot with your children and enjoy your drinks. Venture outdoors in pleasant weather and discuss the surroundings. Sit indoors and read a favorite book together while sipping on smoothies. Children begin to associate smoothies with special family time and look forward to them in the future. Make smoothies fun for children by including them in the process. Fear of the unknown holds many back from trying new things and kids are no different. Allow them to create their own beverages and you win half the battle. Encourage healthy eating habits that will last a lifetime. This is a guest post by Aileen Lopez, a writer and the Director of Content for the Morgan Law Firm. Please visit the Morgan Law Firm Blog for additional content.